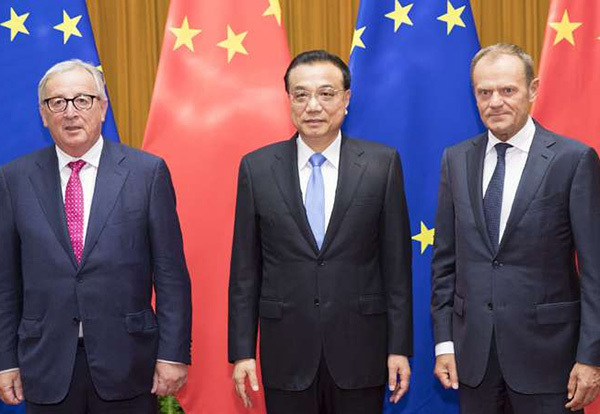 Premier Li and presidents of European Council and European Commission co-chaired the 20th China-EU leaders’ meeting. Premier Li Keqiang and presidents of European Council and European Commission met the press on July 16 in Beijing. Premier Li co-chaired the 20th China-EU leaders’ meeting with presidents of European Council and European Commission.